This Year’s festival will take us from the Pontos and the Black Sea to the eastern Mediterranean, the Aegean and Crete. Vehicle, the lyre and the violin bow, the two arched strings which are an integral part of the traditional Greek music and are the main protagonist in joy, feast, but also in mourning. 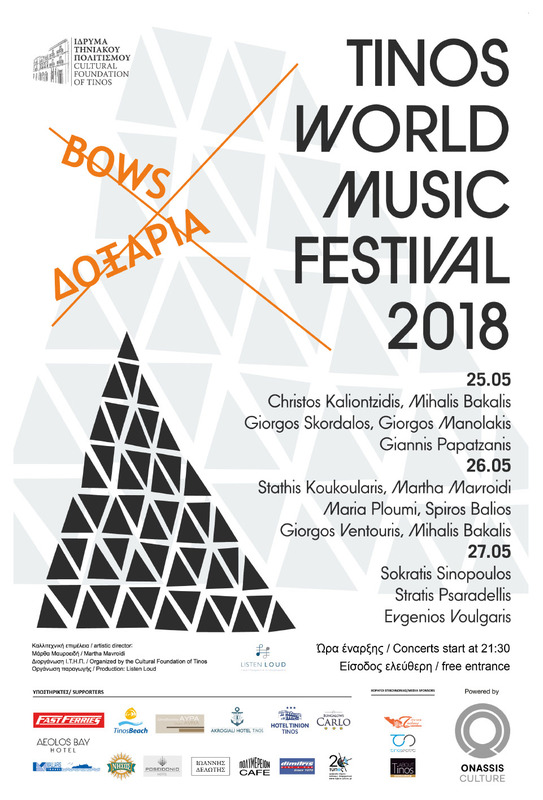 The first bows will bring melodies from Pontos and the wider Black Sea region, with the illustrious Christos Kaliontzidis at the pontian lyre, also known as cementze, and Michalis Bakali at the daouli, as well as from Crete with the lyricist Giorgos Skordalos, the laurel Giorgos Manolakis at the lute and Giannis Papadjani at the percussion (25.05). On the second day, Sokratis Sinopoulos and Stratis Psaradellis in the unruly political lyre, and Eugenios Voulgaris in the arched tambour, will lead us to a melodic journey in the music of the City and the broader eastern Mediterranean (26.05). The curtain of this year’s festival will close with a tribute to the musical tradition of the Aegean and Asia Minor, with one of the most important violinists of the Greek musical tradition, Stathi Koukoularis, while Martha Mavroidis will join him singing and playing the Constantinopolitan lute, Maria Plumis and Spyros Balios at the Lute, Michalis Bakalis at the percussions and George Ventouris at the double bass (27.05). One day before the festival starts on Thursday, May 24 at 21:00, a pre-festival concert will take place in the Small Stage of the Onassis Foundation with melodies and tunes from Crete, Constantinople, the Aegean and Asia Minor. Entrance to the festival is free to the public.